New to me! I've had it about two months now. All stock and freshly washed. 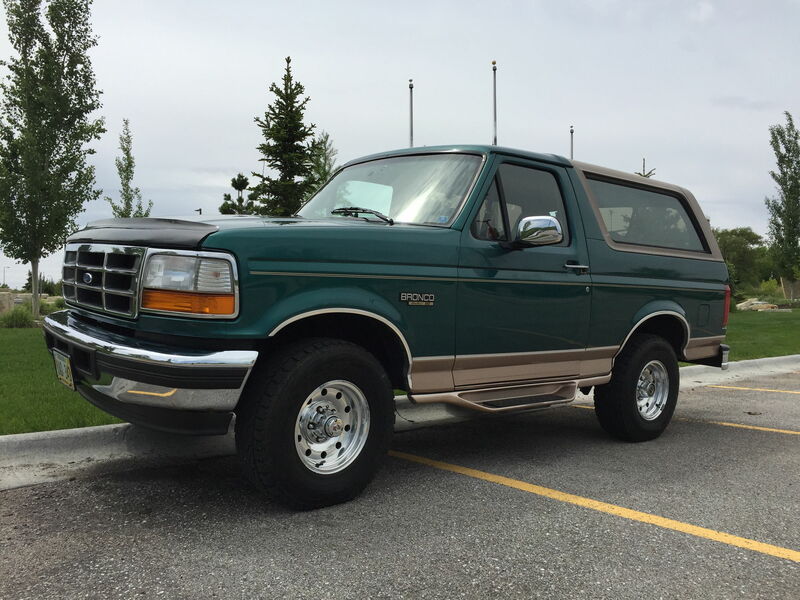 '96 Eddie Bauer Bronco, leather, 5.8L, 3.55 LSD, Bilstein 4600's, DC XC 33x10.5x15, K&N stock replacement, 460 intake tube. Does that back top come off on that? 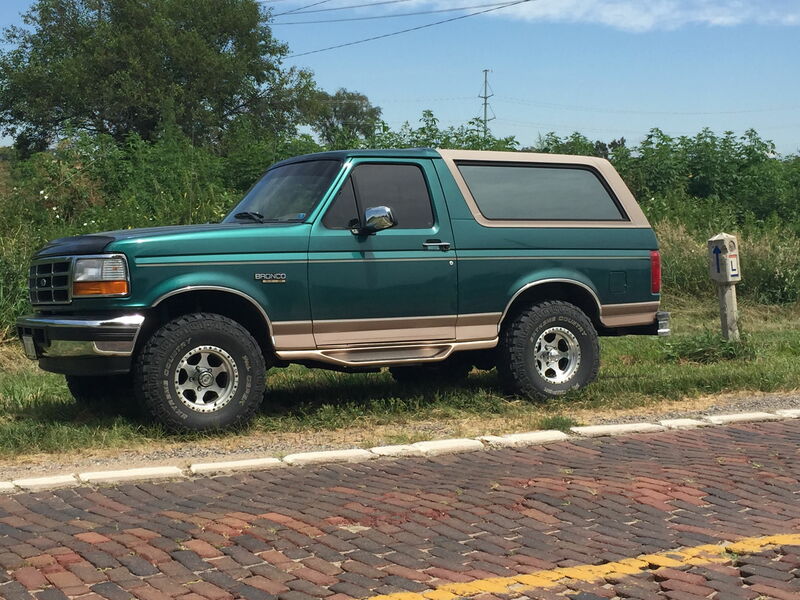 Did you go back in time to get this amazing Bronco!! 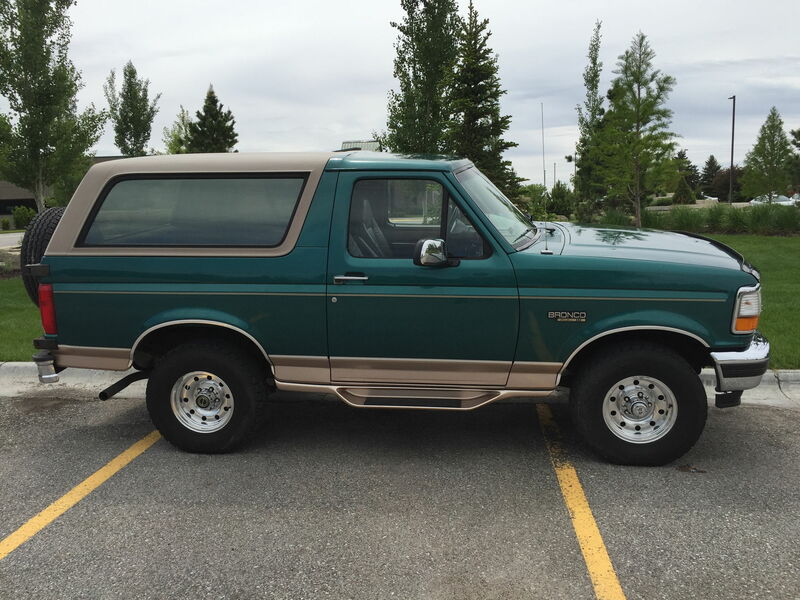 Very nice.....same gen bronco I had and I really, really miss it! Looks like it's in great shape! Thanks guys! The back section can come off but I don't think that it ever has. This one came from Washington state. I'm the third owner of it. I have the original window sticker and it listed for over $32,000. Has just about every option except the turn signals in the mirrors. The original owner installed a Viper alarm system in it. I replaced it with a Viper remote start / alarm system. Original system was dated 10/95. I'm really loving this one. Nice...I installed a remote start in mine also....might own another one down the road someday....but not before I can convince the wifey to let me get my CC dent! Last edited by Bruners4; 07-31-2016 at 06:16 PM.